Bra bulge referred to as excess breast adipose tissue in the medical world, can be a source of insecurity for women, particularly as the body ages. If you are dissatisfied with the presence of excess fat popping out of your bra, you are not alone. Until recently, it has been difficult to treat bra bulges without the aid of surgery. Kybella is a breakthrough minimally-invasive treatment that can reduce stubborn fat deposits of the axilla and breast junction, which gives it the fun name: BraBella! At Noydeen Beauty in Conway, Arkansas, we are committed to offering the most advanced non-surgical cosmetic treatments available. As such, we are proud to offer Kybella treatments to our patients. Kybella is a revolutionary procedure that is safe and effective. Unlike liposuction, a fat removal surgery, Kybella injectable treatments do not require incisions or mechanical fat extraction. Instead, Kybella’s active ingredient – deoxycholic acid – breaks down the excess bra fat so the body can eliminate it through its own channels. Deoxycholic acid is a fat-absorbing substance naturally produced in the body. 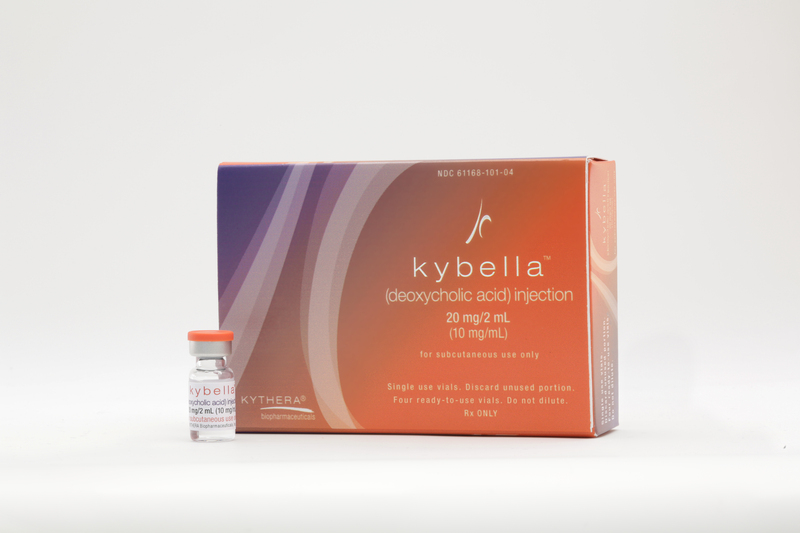 When injected, Kybella dissolves fat cells and the dead cells are permanently swept away by the body. Many patients come to our Conway office frustrated by their inability to eliminate bra fat, despite maintaining a healthy weight and balanced lifestyle. If you have moderate-to-severe bra fat and are close to your ideal weight, Kybella may help you reach your aesthetic goals.